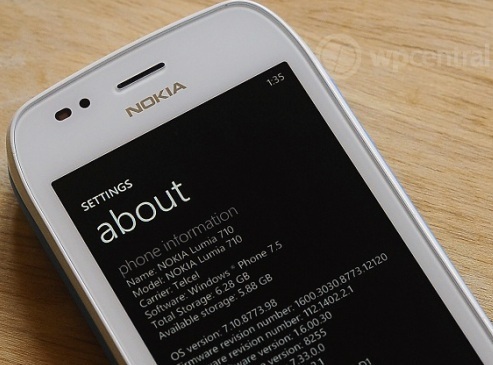 The guys at WPCentral have got their hands over a Windows Phone 7.5 Tango or Refresh ROM, OS 8773 with firmware 12120 meant for the Nokia Lumia 710 devices from Telcel Mexico. They installed it over their T-Mobile Lumia 710 and have given us a small insight of what we could expect from the update. Though the WP Tango is aimed to support devices with RAM as less as 256 MB so that Windows Phone smartphone land up in the affordable range the update will be available for both Nokia Lumia 800 and Lumia 710 smartphones. The hands on video shows us a few new features like Call forwarding, Call Waiting, Internet Sharing, SMS Character Limit and the new Nokia branded Marketplace Icon. All changes and new features are as below. So the update is indeed going to be a decent addition of few features to the Lumia 710 and 800 and may roll out by June this year but then the final decision lies with Nokia and carriers. Check out the video of WPCentral below.